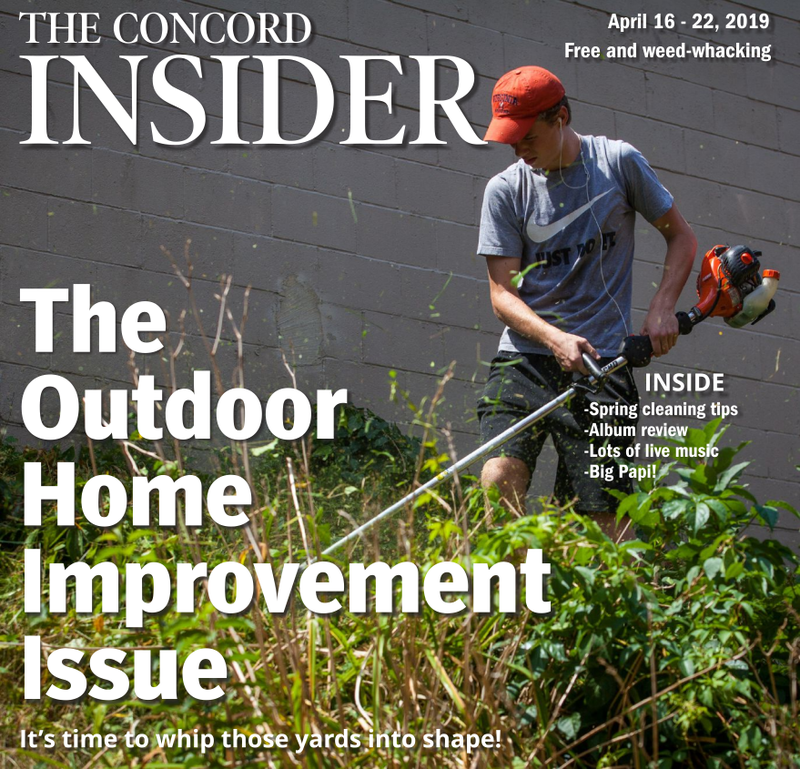 Welcome to the 2019 Spring Guide – statewide edition. The following several pages lay out as many fun, springy events across the Granite State as we could find. This is by no means everything that is going on – it’s probably less than half – but we only have so much space. The events listed here are primarily seasonal, family-oriented, one-off events. In other words, you’ll find things like holiday meals, festivals, community concerts, plant sales and things of the like. What you won’t find are “traditional” concerts or stage productions that don’t tie into anything seasonal, or recurring events. With all of that out of the way, take a gander at this ginormous list and start planning your spring now. “Intelligent Lives” screening: Come see Concord filmmaker Dan Habib’s latest award-winning film and stay for a discussion afterward. There will be a showing from 11:30 a.m. to 1:30 p.m. and another from 7 to 9 p.m. This event is free and open to both UNH students and the general public. University of New Hampshire – MUB Theater 2, 83 Main St., Durham. Free. New Hampshire Jewish Film Festival: This year – the 11th – enjoy 17 films at venues in five cities across the state. This is an annual statewide cultural event and signature program, created and presented by the Jewish Federation of New Hampshire. The NH Jewish Film Festival presents an eclectic mix of internationally acclaimed films from Israel and around the world. Films promote Jewish themes, explore Jewish identity and present the richness of Jewish culture relative to a diverse modern world. Locations in Concord, Manchester, Merrimack, Peterborough and Portsmouth. Visit nhjewishfilmfestival.org for a schedule of events, including venues, films and times. Yuri’s Night Portsmouth: Get “spaced out” at Yuri’s Night Portsmouth: a social, educational, and artistic celebration of humanity’s first steps into the “final frontier.” On tap for the evening are special speakers talking about our future in space, short videos featuring current and future missions to the beyond, and an Astrophotography & Space Art exhibit in the 3S Lobby Gallery and outdoor telescope views of night sky favorites put on by members of the New Hampshire Astronomical Society. Those who come appropriately dressed for a “spacetacular” evening will get a special memento to remember the night. 3S Artspace, 319 Vaughan St., Portsmouth. 6-10 p.m. $10. 3sarts.org. Paws and Claws for a Cause: Join us for a fun night out, while supporting a great cause! Come browse gallery exhibit of the works of more than 50 local artists and featuring Josee Severino. Purchase a 6×6 original painting and 100 percent of the proceeds will be donated to the Animal Rescue League of N.H.! Event generously hosted by Sullivan Framing & Fine Art Gallery. Complimentary wine and hors d’oeuvres provided by the Copper Door. Sullivan Framing & Fine Art Gallery, 15 N. Amherst Road, Bedford. 5-8 p.m. Free. rescueleague.org. Girls Inc. Live Auction Gala: For 30 years, generous bidders have supported the efforts of Girls Inc. of New Hampshire to reach more girls. Today they serve over 2,000 girls at their centers (located in Nashua and Manchester) and with community based programs in over 30 schools across the state. They provide after school, summer camp and dinner club programs and you helped make it all happen! The gala includes a silent auction, heavy hors d’oeuvres and carving stations, live auction and a few surprises. Courtyard by Marriott Nashua, 2200 Southwood Drive, Nashua. 6-10 p.m. $75. biddingforgood.com. Wild & Scenic Film Festival: Join us for the Wild & Scenic Film Festival and be inspired by short but mighty films that speak to the environmental concerns and celebrations of our planet. This is a great event for the whole family or a date night out! Plus, your ticket sales will help support the work of SELT. SELT works to save, steward and share special places in southeastern New Hampshire. The Music Hall, 28 Chestnut St., Portsmouth. 7 p.m. $20. seltnh.org. Spring Craft Make and Take: Welcome spring with a variety of sustainable craft activities including: make your own homemade soap; create reusable sandwich wraps (using beeswax on cotton); colorful Easter or spring baskets; Easter egg decorating (for all ages); and bird nesting material dispensers. Bring the whole family – there are activities appropriate for all ages. Concord Friends Meeting, 11 Oxbow Pond Road, Canterbury. 10 a.m. to 1 p.m. $1-$5. Aces and Eights and NCMS Present: Play It Forward 2019: Featuring the Trash Talk Percussion Ensemble, NCMS House Band and local rock legends, Aces and Eights. Great music, cash bar and concessions, and lots of dancing for a good cause. Nashua Community Music School, 19 S. Depot Road, Hollis. 7-11 p.m. $20-$25. nashuacms.org. Songweavers Concert: Songweavers, New Hampshire’s original women’s community chorus, is a program of the Concord Community Music School in Concord. The group consists of a 100-member chorus accompanied by African-style drummers, piano and guitar. Songweavers is a musical experience of harmony, excitement and love. First Congregational Church, 508 Union St., Manchester. 4 p.m. $15-$20. fccmanchesternh.org. Easter Comes Early to Tuscan Kitchen: Get a hop ahead by welcoming everyone’s favorite holiday bunny one week early for the annual Easter Egg Hunt. This family-friendly event will bring together scores of toddlers and children from across New England dressed in their Sunday best for the ultimate candy-filled Easter egg hunt. Lucky bunnies who find golden eggs will be treated to a complementary homemade gelato of their choosing while having their faces festively painted and visiting with the famed Easter Bunny. Tuscan Kitchen, 581 Lafayette Road, Portsmouth. 11 a.m.
Pet Photos with Easter Bunny: The Pet Photo Night with Bunny event is part of the festive Simon Bunny Photo Experience and pets will have their own chance to visit with Bunny and take photos of the festive fun! Photo package prices vary, inquire at the Bunny set. Mall of New Hampshire, 1500 S. Willow St., Manchester. 6:30-8 p.m.
“One Voice!” Spring Concert by the Colby-Sawyer College Singers: Colby-Sawyer College Singers Spring Concert “One Voice!” features contemporary, upbeat American music including show tunes, new compositions and spirituals. Directed by Karen Brook, the performance features student soloists and pianist Joe Henderson. Sawyer Center Theatre, 541 Main St., New London. 7 p.m. Free. N.H. Coin and Currency Expo: Since 2003, our show has grown into the biggest coin show in New England with over 100 tables and over 70 dealers from all over New England and beyond. You can buy, sell or trade, and our experts will also be available for free appraisals. Come in to buy coins for your collection, invest in silver or gold bullion, or just come to appreciate the coins and currency. Admission is $5 for one day, $8 for both days (April 19 and 20), and free for kids under 12. Boy and Girl Scouts in uniform along with one parent also get in for free. Veterans and active-duty military get in for free as well (bring ID). DoubleTree Manchester Downtown, 700 Elm St., Manchester. All day. $5. nhcoinexpo.com. The Sword in the Stone – Challenge for the Throne: Enjoy a magical evening at The Castle as you participate in a medieval tournament while enjoying a four-course, eat-with-your hands feast. This will be a special evening filled with food and lively songs! Enjoy a delicious dinner – includes appetizers, spare ribs, soup, bone-in chicken, roasted potatoes, honey-glazed carrots and dessert! The Castle on Charles, 19 Charles St., Rochester. 7:30 p.m. castlenh.com. Spring on the Farm: Get your fill of warm-and-fuzzy during our cutest fresh air event of the year! Meet and nuzzle our baby kids (goats) and lambs and interact with 4-H club members as they show other furry farm favorites, including yolked working steers. You can also take part in our Farm Olympics, and make card wool fleece and hand-churned butter. You can go on a scavenger hunt, stop by the herbal remedies Boo-Boo Station and walk interpretive trails. Lunch and treats will be available for purchase. Remick County Doctor Museum & Farm, 58 Cleveland Hill Road, Tamworth. 11 a.m. to 3 p.m. $5-$10. remickmuseum.org. Battle of the Ukulele Bands: Over 12 acts will compete for prizes and fundraising glory. Celebrity judges include comedian Juston McKinney, WMUR personality Sean McDonald, world-famous musician Tom Rush, and Hawaiian maestro Kimo Hussey. Audience response will count too, so come cheer for your favorites! Gary “Creekman” Sredzienski will emcee the day’s fun. Funds raised will benefit the Ukulele Kids Club, a nonprofit dedicated to bringing music to hospitalized children. The Music Hall, 28 Chestnut St., Portsmouth. 2-6:30 p.m. $45. themusichall.org. Kids’ Breakfast with Baby Animals: Led by a heritage animal breeder and educator, this program is presented April 22 to 25 from 9 to 10 a.m., before the animal tent opens to the public each day. It is designed to give children ages 4 to 8 (all ages admitted) an opportunity to meet the baby lambs, kids, chicks and other animals up close. Participants will learn about milking, feed the animals and create a fiber craft gift to take home. Ticket includes a breakfast snack and all-day admission to the Baby Animals event. The program is limited to 12 children per day. Strawbery Banke Museum, 14 Hancock St., Porstmouth. $25. strawberybanke.org. Shakespeare’s Birthday Celebration: The 30th annual Shakespeare Birthday Celebration at Saint Anselm College, a reading of his 154 sonnets by professors, students and other participants, some dressed in Elizabethan-era garb, will take place this year outside on the quad. This event is held rain or shine. Saint Anselm College Quad, 100 St. Anselm Drive, Manchester. 10 a.m. to 4 p.m. anselm.edu. Monadnock International Film Festival: The seventh Monadnock International Film Festival takes place April 26-28 in downtown Keene and Peterborough. MONIFF showcases award-winning independent cinema from around the world, featuring both narrative and documentary films. Q&A’s and panel discussions with guest filmmakers will also be held, as well as lively after-parties. Multiple locations in Keene and Peterborough, multiple times – see website for details. $10-$14. moniff.org. Inter Plays: An Evening of Movement and Dance: Presented by the New England College Department of Theatre and directed and choreographed by Kelly Doremus Stuart, the show will feature performances by students in the NEC Theatre department. The April 26 and 27 shows will be held from 7:30 to 9 p.m., and the April 28 show will be held from 3 to 5 p.m.
Mainstage Theatre, Science Building, 58 Depot Hill Road, Henniker. 7:30 p.m. $5-$7. nectheatre.com. N.H.’s Ultimate Food Truck & Specialty Food Festival: Fifteen of the best food trucks along with over 80 specialty food vendors will be on hand to celebrate: FOOD! It’s a family- and pet-friendly environment to come and sample new foods, new products or stock up on some of your favorites! Live music, raffle prizes and giveaways. Beat the winter blahs away with some yummy food, learn new techniques from our live cooking demonstrations and talk to other passionate foodies about their products. Roaring ‘20s Murder Mystery: Welcome to the 1920s, where bathtubs were made for one thing only. To make gin! (Okay, maybe two things). Lots of gangsters are showing up at “Cherry’s Speakeasy” to talk about the turf war going on between the Corneolis and the Buttafuccos. Falls Event Center, 21 Front St., Manchester. 7 p.m. $59. eventbrite.com. Ignite Your Soul Summit: Join Amber Lilyestrom for a weekend-long expansion experience to take your life and career to the next level. This summit is your chance to awaken to who you really are. The Music Hall, 28 Chestnut St., Portsmouth. $299-$510. amberlilyestrom.com/summit. 7th Annual Tristin’s Run to Benefit David’s House: Tristin’s Live Laugh Love Run is an annual 1-mile/5K running race, with proceeds benefiting David’s House. The design of the courses take advantage of the beautiful views. The races themselves are geared toward families, casual runners, and first-time 5K’ers, with a goal of overall fitness health. We hope to inspire new runners to try our race, and then continue that success through the rest of the running season. Online registration is available through April 25. Family registration is available as well. Registration is also available at the event. David’s House, 461 Mount Support Road, Lebanon. 9 a.m. (1-mile), 9:30 a.m. (5K). $25. tristinsrun.org. Cold River Radio Show: Featuring exclusively New England-based artists, performers, authors and storytellers, the show focuses on the unique culture of the Northeast. Through the acts it features live on the stage as well as in-depth, in-field episodes covering New England’s fascinating and mysterious history, Cold River Radio introduces listeners to the New England life and the Northeast’s most interesting characters. Theater in the Wood, 41 Observatory Way, Intervale. 7 p.m. $30. coldriverradio.com. Hike Up Blue Job Mountain Loop: Join us for our 4th official walk/hike up Blue Job Mountain Loop in Strafford, New Hampshire. Our expert will be April Begosh, owner of Healthy Pets N.H. The hike is a 3.3-mile, moderately trafficked loop trail located near Strafford that features beautiful wild flowers and is rated as moderate. It Takes a Village Pet Care will have a table and banner in the parking lot so you can easily locate us and meet everyone before the walk. Goody bags will be available to the first 25 participants the day of the event. Yellow ribbons will be available for any pet owners who would like to attach to their dog’s leashes. In addition, we will have sign-in sheets to log your attendance. After six official walks with the club, you will earn a Dog Walking Club T-shirt! Please RSVP to myvillage@ittakesavillagenh.com or 781-3799. Blue Job Mountain, Stafford. 1 p.m. facebook.com/groups/ITAVDogWalkingClub. Cinco de Mayo Celebration: Join us for our annual Cinco de Mayo celebration! We’ll have delicious food, drinks and live entertainment. This is our last Cinco de Mayo celebration – we are retiring it after over 10 years of fabulous fiestas. Your participation is helping raise money to support homeless families and individuals in our community. Double Tree by Hilton Downtown Manchester, 700 Elm St., Manchester. $100. fitnh.org. Dover Art Walk: Discover the vibrant downtown Dover art community every first Friday of the month! From 4 to 8 p.m., enjoy local art while strolling along the numbered map stops – you can visit in order or mix it up! Artists and locations will vary from month to month, and some artists will be on site to discuss their work and provide demos for your enjoyment. Downtown Dover. 4-8 p.m. doverartwalk.com. Enfield Shaker Experience: Pontine Theatre, the Enfield Shaker Singers and Chef James (Buddy) Haller offer a Shaker Day program. To start, Chef Haller presents a selection of traditional Shaker dessert items from The Shaker Table, the restaurant he operated at Canterbury Shaker Village. Once guests have selected their dessert items and are seated, Mary Ann Haagan, Enfield Shaker Singers, introduces “Jane Blanchard, Enfield Shaker — A Sketch of her Experience” (c. 1868). Strawbery Banke Museuem, 14 Hancock St., Portsmouth. 7 p.m. $35 ($25 for StrawberyBanke members). strawberybanke.org. The Power of Angels, Kitty Angels Fundraiser: This fun and exciting event will feature over 100 artisans and crafters, professionals, food, flea market and yard sale vendors in a county fair-type atmosphere, complete with local food vendor Sillie Puffs and live entertainment including Back to the Garden, a band who have generously played for this event over the past several years. The New England Brethren of Pirates will be back as well. Treasures Antique, 106 Ponemah Road, Route 122, Amherst. 9 a.m. to 5 p.m. on May 4 and 5. Free. Portsmouth Half Marathon: The Third Annual Portsmouth Half Marathon is returning to the Portsmouth area for another day of scenic New England running! Join the fun and celebrate your finish with an after party featuring refreshing craft beer. Lowe’s, 1440 Greenland Road, Greenland. 8 a.m. $59-$79. portsmouthhalf.com. Keene Chorale Spring Concert: The Keene Chorale celebrates its 40th anniversary with a performance of Bernstein’s “Mass.” This will be a musical theater experience with chorus, soloists, full orchestra, and starring tenor Alan Schneider as the Celebrant. Redfern Arts Center at Keene State College, 90 Wyman Way, Keene. 2 p.m. $5-$25. keenechorale.org. Cycle the Seacoast: Cycle the Seacoast is a one-day fundraising cycling event for the American Lung Association. Every dollar raised benefits lung disease research, advocacy and programs right here in your community. Visit BikeTrekNewEngland.org for more info or visit us on Facebook by searching Cycle the Seacoast! Offers a 25-, 50- or 100-mile option. The 100-mile route departs at 7 a.m., 50-mile at 8 a.m. and 25-mile at 9 a.m. Cyclists are required to raise a minimum of $200 ($100 for ages 7-17 and $400 for a family of four). Breakfast and lunch are provided at the finish line for all cyclists and volunteers. Cisco Brewers Portsmouth, 35 Corporate Drive, Pease International Tradeport, Portsmouth. Varying times. lung.org. Exeter Day 5K Trail Race and Kids Fun Run: Join us for Exeter Day School’s 6th annual 5K Trail Race and Kids Fun Run, featuring a beautiful run/walk through the Phillips Exeter Academy woods, kids fun run and activities, music, food, raffle prizes and more. There will also be free babysitting for registered race participants during the 5K Trail Race. Check-in begins at 8:30 a.m. on race day, followed by our kids fun run at 9:15 a.m. and 5K Trail Race at 10 a.m.
Exeter Day School, 11 Malboro St., Exeter. $5-$30. 8:30 a.m. exeterday5k.com. Annual Book Sale: History lovers can expect to find hardcover books on topics such as history, biography and antiques, and any lover of books should be able to find something there – art books, architecture, cookbooks, travel, hardcover fiction, anything except mass market paperbacks or textbooks. In all, there will be about 3,000 titles including some high-quality books that might be considered treasures. Historical Society of Cheshire County, 246 Main St., Keene. 10 a.m. to 6 p.m. hsccnh.org. 10th Annual Mother’s Day Weekend Craft Festival: The scenic town common in Hampton Falls will come alive with color, flavor and music for the 10th Annual Mother’s Day Weekend Craft Festival on May 11 and 12. Over 75 artisans from all over New England will display and sell their American-made works, including pottery, fine art, original watercolors, jewelry, tile, ladies’ apparel, spring décor, plants, folk art, cutting boards, hand-crafted soaps, doll clothes and much more. Food and live entertainment will also be provided. Hampton Falls Town Common, 4 Lincoln Ave., Hampton Falls. castleberryfairs.com. JSL Golf Fundraiser: Join us for a great start to the golfing season while supporting women and children in crisis in the Greater Concord area! Registration and coffee at 7 a.m., 8 a.m. shotgun start, four-person scramble. Loudon Country Club, 653 Route 106, Loudon. 8 a.m. $120 per player. jslconcord.org. Jack’s Ride to Benefit Warriors at 45 North: Combat Veterans Motorcycle Association Chapter 5-1 will be hosting a ride to benefit Warriors at 45 North. Food will be provided. American Legion Post 51, 232 Calef Highway, Epping. 10:30 a.m. $20 per rider, $5 per passenger. combatvetnhv1.org. Amherst Plant Sale: Kick off the gardening season with a visit to the Amherst Garden Clubs Annual Plant Sale. Arrive early for the best selection of over 3,000 perennials. There’s something for everyone: hanging baskets, herb and vegetable plants, annuals, baked goods, used garden books, kids’ potting table, raffle baskets and much more! A gardener’s delight rain or shine! Wilkins Elementary School Field, 80 Boston Post Road, Amherst. 8:30 a.m. to 1 p.m. amherstgardenclub.org. Mother’s Day Concert: The Beauty of Strings: The concert will feature chamber music for strings, including two violins, two violas and a cello. The concert is free of charge, but a $10 donation is appreciated. Cathedral of the Pines, 10 Hale Hill Road, Rindge. 5 p.m. cuatropuntos.org. Rye Driftwood Garden Club Spring Plant Sale: The Spring Plant Sale features plants dug from members’ gardens, Silent Auction, plants and raffle items from local businesses and a bake sale full of homemade goodies. The club accepts cash and checks only. 481 Central Road, Rye. 9 a.m. to 2 p.m. on May 17 and 9 a.m. to noon May 18. ryenhgardenclub.org. Honoring of the Elders Native American Pow Wow: Drumming, dancing, singing, vendors, arts and crafts. Bring a chair and sun or rain cover. Learn about Native American culture and traditions. A wonderful event for all ages! Tamworth Camping Area, 194 Depot Road, Tamworth. 10 a.m. to 4:30 p.m. on May 18 and 19. $2 adults, $1. kids. The Great Finnish Bread Bake-Off: The Historical Society of Cheshire County and the Finnish Heritage Society-Sovittaja invite the general public to its third annual Great Finnish Bread Bake-off. Visitors will have the opportunity to taste-test varieties of nisu and pull bread. Admission comes with a ballot allowing the public to vote for their favorite recipe. Beverages will be available as well as bread-making tips, demonstrations and music. Proceeds from the event support the Historical Society’s educational programming, which is dedicated to celebrating the variety of cultures and talents that make up Cheshire County. Troy Elementary School, 44 School St., Troy. 1-3 p.m. $10 adults, free for those under 18. hsccnh.org. Lakes Region Symphony Orchestra Spring Concert: On the heels of our remarkable, sold-out, standing-ovation performance of Beethoven’s 9th Symphony on March 23, we switch gears and engage the talented Ashley Whalley to bring you “Streisand – Songs of Love.” With Barbra’s vast songbook of hits from album, stage, and screen, Ashley will be performing a variety of favorites across the genres with the majesty of full orchestral accompaniment. Inter-Lakes Community Auditorium, 1 Laker Lane, Meredith. 7:30 p.m. $10 students, $20 adults. lrso.org. Big Lake Half Marathon: The 18th Annual Big Lake Half Marathon is returning to Alton for another day of scenic New England running! Celebrate your finish with an after-party featuring refreshing craft beer and plenty of food! Alton Central School, 41 School St., Alton. 6:30 a.m. packet pickup, race at 8 a.m. $69-$79. biglakehalfmarathon.com. Strafford County Master Gardeners Association 17th annual Plant Sale: Locally grown annuals, perennials, herbs and vegetables, “Ask a Master gardener” table for your gardening questions. Soil testing information. Proceeds benefit school and community gardens and horticultural education. Durham Town Hall parking lot, 8 Newmarket Road, Durham. 9 a.m. to 1 p.m. scmga.wordpress.com. 29th Annual Walk Against Hunger: Join us for the Families in Transition – New Horizons 29th Annual Walk Against Hunger! Your participation is helping raise money to support homeless families and individuals and those facing food insecurity in our community. This year we will be welcoming back The Mill 96.5’s Ioanis to emcee and provide the music! Teams, individuals and socialized dogs are welcome. Registration begins at 11 a.m. and the 5K walk begins at noon at Veteran’s Park. Rain or shine. Same-day registration available. Veteran’s Park, 723 Elm St., Manchester. 11 a.m. By donation. newhorizonsnh.org. Public Gardens Close to Home: Rye Driftwood Garden Club presents trained horticulturist Gail Anderson who will offer an armchair tour through some of the most beautiful public gardens in New England, such as the House of the Seven Gables garden, Sedgwick Gardens at Long Hill and the Crane Estate. Rye Congregational Church, 580 Washington Road, Rye. 10 a.m. to noon. $5. ryenhgardenclub.org. Step Up 5K Run/Walk/Kids’ Dash: This event offers a kids’ 800-meter dash, a 5K run and a walk with a modified walking course for those who would prefer that option. It’s an opportunity to form your corporate teams (three or more participants receive discounted entries) and enjoy a fun run to build camaraderie. It’s also an opportunity to raise awareness and raise funds that will help local people in need. It’s an opportunity to do good and have fun doing it! We’ll conclude with a community barbeque, raffles and, of course, awards! SNHU, 2500 North River Road, Hooksett. 5:30 p.m. $25. mealsonwheelsnh.org. 28th Annual Memorial Day Weekend Craft Festival: The Scenic Mill Falls Marketplace in Meredith will once again come alive with color, flavor, and music for the 28th Annual Memorial Weekend Craft Festival on May 25, 26 and 27 (Memorial Day). Over 75 craftsmen and artisans from all over New England will display their American-made works including fine jewelry, folk art, quilts, aerial photography, fiber arts, wood burning, leather, baskets, ornaments, soy candles and much more. Mill Falls Marketplace, 312 Daniel Webster Highway, Meredith. 10 a.m. to 7 p.m. on May 25, 10 a.m. to 5 p.m. May 26, 10 a.m. to 4 p.m. May 27. Free. castleberryfairs.com. Lilac Festival: Visit Portsmouth’s historic Wentworth-Coolidge Mansion to celebrate the return of the lilac season! Enjoy free tours of the mansion, a guided walk on the nature trail and a scavenger hunt for kids. Wentworth-Coolidge Mansion, 375 Little Harbor Road, Portsmouth. 10 a.m. to 2 p.m. Free. wentworthcoolidge.org. Runner’s Alley Cisco Brewers Portsmouth Memorial Day 5K: This annual event hosts over 2,000 runners and walkers. All proceeds go directly to Krempels Center. Register (register.chronotrack.com/r/37210) for this premier race, which boasts a fast, flat course, a huge feast for participants, live music, kids fun run, VIP club and a free Cisco Beer. Cisco Brewers Portsmouth, 35 Corporate Drive, Pease International Tradeport, Portsmouth. 11 a.m. $25-$40. krempelscenter.org/get-involved/roadrace. Mountain Garden Club Spring Plant Sale: This event is loved by all plant enthusiasts! It features specially cultivated perennial plants and small shrubs, carefully dug from the gardens of Mountain Garden Club members and nurtured to be ready for sale. Also offered are club-crafted planter baskets and nurtured annuals. Often the prices are even slightly lower than those at garden centers! Come early for all the best selections! North Conway Community Center, 2628 White Mountain Highway, North Conway. 9:30-11:30 a.m. Free admission. mountaingardenclub.org. Millyard BPR: Part triathlon (no swimming), part adventure race, the Millyard BPR is a fun but challenging race taking participants through downtown Nashua, beautiful neighboring Hollis, and the peaceful trails of Mine Falls Park. Individuals and teams will bike through Nashua, use their choice of human-powered water transport (kayak, canoe or SUP) to navigate the Nashua River and run along the famed New Hampshire Heritage Trail. After the race, share some food and drinks with your fellow racers at one of the many great establishments along Main and Canal Streets. Millyard Techonology Park, 10 Technology Way, Nashua. 9 a.m. $50 individual, $110 team. millyardbpr.com. Newmarket Veterans Memorial Golf Tournament: This event will feature 18 holes of golf (with carts included) in a four-person shotgun scramble format. There will also be lots of side contests, an air cannon, raffle and prizes. A continental breakfast and barbecue lunch will also be provided. This tournament is to benefit the Newmarket Veterans Memorial Trust Committee efforts in building a new veterans memorial to be located at the town library. Rockingham Country Club, 200 Exeter Road, Newmarket. 8 a.m. registration, 9 a.m. start. $90. newmarketnh.gov. What Moves You 5K: The What Moves You 5K is returning to Exeter for another day of celebrating health and fitness! This is a great course traveling on rural roads through what was once the Revolutionary War capital of the United States. Join us for the next-to-last race in the popular Will Run for Beer race series at the after-party at Margarita’s Restaurant! Core Orthopedic, 7 Alumni Drive, Exeter. 7:30 a.m. packet pickup, 9 a.m. race. $25-$35. whatmovesyou5k.com. Paws for Wine fundraiser for Animal Rescue League of N.H.: Join us for The Winemaker’s Kitchen: Cooking with Wine instructional series. It’s Mediterranean cooking with wine. Upon arrival, enjoy delicious hors d’oeuvres. Learn how to assemble an antipasto display, enjoy homemade ravioli with Labelle Winery Seval Cream sauce and Mild Fra Diavlo sauce. End the evening with a decadent Chocolate Pot du Creme. Wine will be paired with each course. This class is interactive and fun! LaBelle Winery, 345 Route 101, Amherst. 5:30-8 p.m. $75. rescueleague.org/pawsforwine. 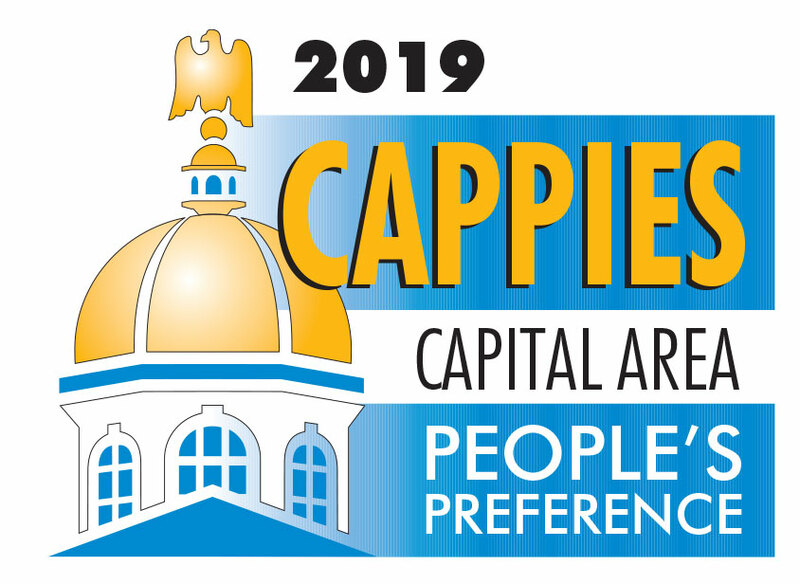 Voting for the 2019 Cappies has begun! Click here to vote now!